Tour both Oak Alley and Laura Plantation during one trip. This day trip from New Orleans is perfect for the traveler looking to see two pieces of history in the same day with the convenience of hotel pickup from their downtown New Orleans accommodation. Tour both Oak Alley and Laura Plantation during one trip. Travel in one of climate controlled mini buses with air suspension for a comfortable ride. This tour provides complimentary pickup and dropoff from select downtown New Orleans hotels. Laura, A Creole Plantation has a rich and unique history, from the home itself to the women that ran it. Uniquely enough, the plantation is now named after one of those very women. You will get to tour this over 200 year old sugarcane plantation. This tour will include a walk through of the main house as well as the slave quarters. 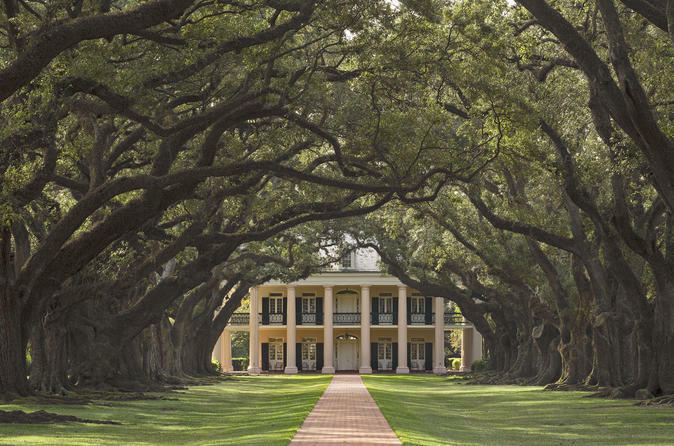 Oak Alley is an antebellum plantation known for its stunning 300 year old alley of oak trees. This plantation was built in 1839 and faces the Mississippi river. These unique tree formations and the beautiful grounds in combination with the colorful history make this a must see destination while you are in New Orleans. After both locations have been visited you will be dropped off back at your New Orleans hotel accommodation. Special Offer - Book and travel by December 9, 2016 and save 15% compared to the local supplier's prices! - Book Now!